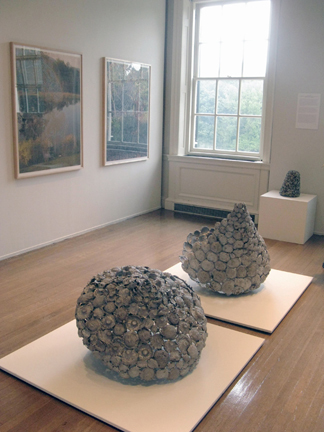 Two objects of cast and welded aluminum, 36x34x34 inches and 21x36x36 inches. One object of cast and welded bronze, 14x10x10 inches. Ten digital photographs with woodcut, silkscreen and drawing on paper. Unique Proofs. Sheets and images 48x36 inches each.